Integrated Pest Management (IPM) - Tavares Group Consulting Inc.
Tavares Group Consulting Inc. is part of a 9-member audit team led by AET, who performs Integrated Pest Management (IPM) audits for golf courses across Ontario. The IPM Accreditation Program is a certification program, which recognizes golf courses, park systems, and sports fields for the active and sustainable management of pests, in accordance with O.Reg 63/09 made under the Pesticides Act. IPM’s aim is to use all necessary techniques to supress pests effectively, economically and in an environmentally sound manner. IPM involves active scouting, planning and managing ecosystems through the setting of thresholds to prevent organisms from becoming pests. 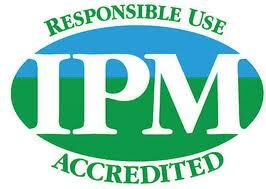 IPM believes that active management strategies lead to the use of pesticides in a more sustainable manner. The accreditation process involves annual desk reviews and on-site audits conducted once every three years.